Nine kilometers south-west of Melbourne, Williamstown is a tranquil bay side suburb with a deeply integrated maritime history. Just a few of the attractions include Williamstown Maritime Museum, the Royal Yacht Club of Victoria, Titanic Theatre Restaurant, Williamstown Botanic Gardens and Sea Shepard tours at Seaworks. There are also a number of bars and restaurants. Stay at one these five properties and take full advantage of your time in Williamstown. Originally built in 1862 Captains Retreat has had a colorful history transitioning over the years from a Captain’s home to a nunnery, brothel, offices and finally a bed and breakfast. Recently refurbished, this heritage-listed home features six charming bedrooms with ensuites and one suite as well as a large guest lounge and north-facing balcony which overlooks the garden. There is also unlimited tea and coffee as well as a cooked or continental breakfast each morning. Holding a prime position on the water’s edge beside Commonwealth Reserve,Quest Williamstown boasts 40 serviced apartments as well as café, restaurant and complimentary secure parking. Relax in a studio apartment complete with kitchenette, or for a home away from home experience book a stay in a one or two bedroom apartment all of which include fully equipped kitchens and laundries. Many of the apartments at Quest Williamstown also take advantage of the views with private balconies. 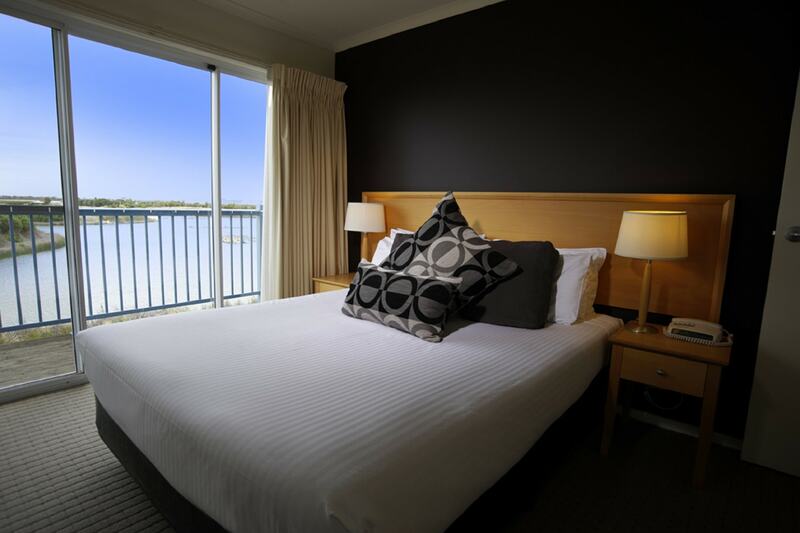 Located on the bay end of Ferguson Street, Punthill Williamstown is ideal for business travelers and those wishing to stay within walking distance from cafes, restaurants, and shops. At Punthill Williamstown, you have the choice of staying in a contemporary studio or one- and two-bedroom serviced apartments. Every room also features a balcony, and there is complimentary secure parking for guests. In addition, breakfast is served daily, and there is a rooftop terrace with a heated spa and dazzling views of the city. Away from the crowds, Quest Williamstown North is a relaxing alternative to the Warf side property. 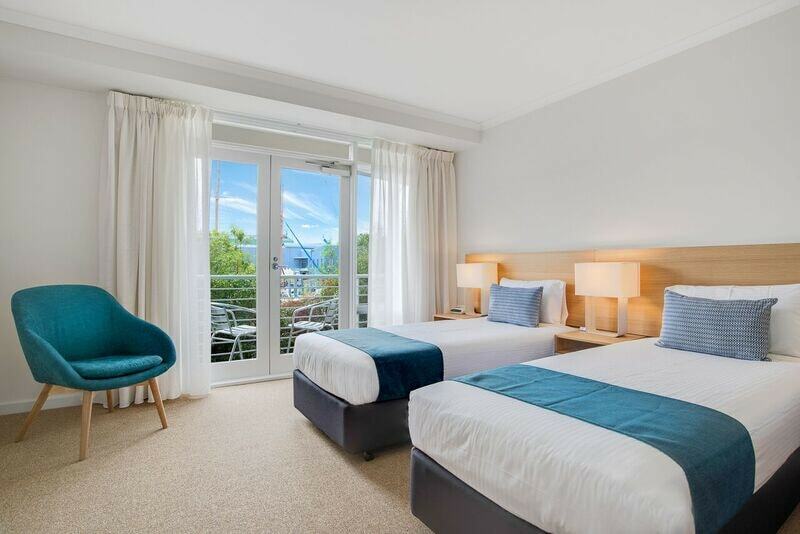 Sitting adjacent to Jawbone Nature Reserve and Marine Sanctuary, the hotel features 62 spacious apartments, including beautifully appointed one-, two- and three-bedroom townhouses with separate living and dining spaces, fully equipped kitchens and laundries. There is also an outdoor swimming pool, heated spa, BBQ facilities and walking tracks to the beach. Complete with all the comforts of home, Amawind offers a selection of fully furnished and self-contained apartments, townhouses and cottages. Accommodation ranges from one to three bedrooms, and all apartments include towels and linen, tea and coffee facilities and weekly housekeeping. Best suited to families and groups the Amawind is a “Home Away From Home, without the fuss.” Some apartments are even pet friendly, and breakfast packages can be organised via request.